HEAD is releasing their Graphene Touch line across all racquet models and this time it’s the Extreme line that gets the treatment with HEAD Graphene Touch Extreme MP. The HEAD Extreme line has always felt like a push towards Babolat Pure Drive and Pure Aero sticks with a user-friendly, powerful response. I was particularly impressed by the HEAD IG 2.0 Extreme Pro racquet which pretty much had everything you’re looking for in a tweener racquet and still was rather comfortable. In general the whole HEAD IG (Innegra) line was a hit with their more traditional feel, but obviously the game is changing and Graphene is their way to introduce more stability/stiffness into their racquets. I previously wrote about the HEAD Graphene Touch series in this post and they’ve also launched the Graphene Touch Adaptive which allows you to customize your racquet with different string pattern, length and lead inserts (this is nothing revolutionary however, Donnay and other brands have tried this before with limited success). Wider spacing in the string bed, supposed to give more spin. 360 Grommet system with larger, funnel-shaped grommets to promote greater string movement (to create snapback = power and dwell-time). Here’s a video of me hitting with the HEAD Graphene Touch Extreme MP. The HEAD Graphene Touch Extreme MP is a powerful beast. With a relatively high swing weight, despite the low static weight this racquet packs a lot of heat. Actually so much heat you need to make sure you get ample spin on the ball for it to stay within the lines. The racquet feels kind of like a toy in your hand (and in a way it also looks like one) which made me want to play “ping pong tennis” instead of use my so called kinetic chain to generate power. This is one of the points I’ve tried to make many times and that’s that a powerful racquet can harm your technique because even poor stroke mechanics can create a powerful shot. It’s not as easy to start arming the ball with a heavy and flexible racquet. But my own personal preferences aside, for a typical “tweener” racquet, the HEAD Graphene Touch Extreme MP was quite a nice experience. It was remarkably stable on volleys, pretty easy to serve with and could generate massive top spin on the ball. If you have flat strokes however this racquet would be difficult to control. What I also noticed was some arm discomfort after only two hours play with the racquet (the racquet was strung with co-poly strings at 23 kg)! This is a reminder that you can’t only look at stiffness ratings when deciding whether a racquet is comfortable or not. RA 64 strung is not a high stiffness rating by today’s standards, still I felt ache in my arm afterwards and before I went to sleep at night. I haven’t felt arm pain in quite a while so this was unsettling. This is why I would urge you to really try this racquet before you buy it. 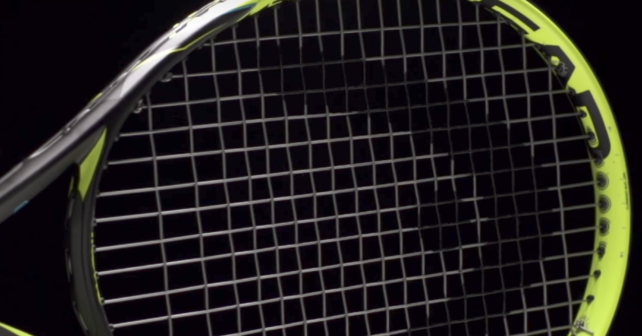 HEAD has long been synonymous with classic-feeling and arm-friendly racquets, but with the introduction of Graphene they’ve done their best to move into a territory that mostly Babolat and Wilson has fought over. So far I haven’t hit a single Graphene racquet that has impressed me, perhaps despite the HEAD Graphene Radical Pro, which was a nice, modern stick. The HEAD Graphene Touch Extreme MP is a fun racquet to play with and could be an excellent choice if you’re looking for power and spin, but if you have arm issues, this is a racquet I would stay away from. 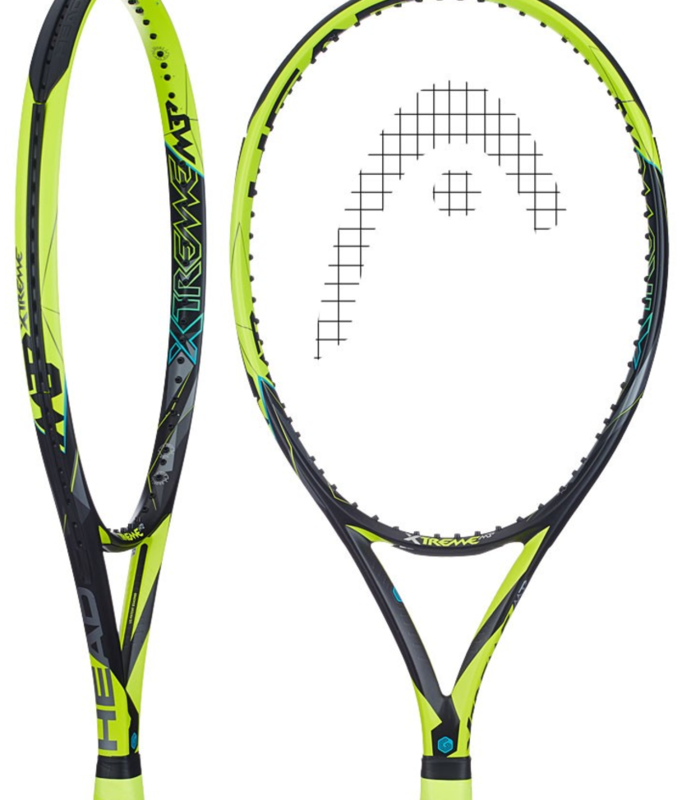 Compared to the HEAD IG Extreme Pro 2.0, which I think is an excellent racquet that is still relatively comfortable, the Touch Extreme MP is a bit too harsh for my liking. Places where you can buy the HEAD Graphene Extreme MP and other tennis racquets. This racquet Head made in order to entice Nadal to switch brands back in the day before he settled with Babolat and APD original (Not sure if before or after that or first Slam, may have been after) when Nadal contract was due, right? the mold of these racquets make racquets like these stiffer than what they are material wise. Round tubes are harder to bend than flat bars, for instance. The mold results in a more powerful racquet just due to its structure. And such required lower arm speed and less proper skills to swing them. and then starts the technique of just wristing or blocking the shot instead of plowing through them like the Prestige-type mold requires you to do. Then of course is head size. Thanks for the insightful comment, Luis! Yes, all manufacturers have tried to copy the success of the Aero Pro Drive in some way or form. The most recent attempt to sway Nadal over to HEAD however was the HEAD MxG racquet that Nadal hit with in the off-season. I dont understand Luis, what you are saying about stiffnes. Stiffnes racquet is measuring with rac. geometry (flat, tube) …that something like you say: 1kilo snow and 1kilo stone is not the same weight. I was talking that the structure of the racquet helps to add more of a stiffer feeling as they are made with power and spin in mind. Their tube profile I am talking about, as they are more thick triangular and rounded than thin and boxy (flexible), they retain their shape more in contact and thus “rebound” the energy out quicker than the “classic” style molds. Their stronger structure also helps in the ability to make racquets lighter for more consumers to use to their skill and physical levels. The disadvantage of all of this is that vibrations travel faster through the stiffer material, and less material. Thus why the added technologies of today that companies are wrestling to make their powerful designs more muted and comfortable….while all could be solved with just more mass and more comfortable beam shapes, but it also demands the consumer to be in shape and use footwork and proper swing techniques to generate the power…which you can guess the common recreational player is not that much into or trained to.